The last but one task of the year took us back to Scotgrove Wood near Bardney. We ended up with 12 volunteers who took faith in the weather; it was forecast rainy and windy but ended up calm and dry. The task was to open up scallops that we had previously cut in the wood along the ride and to clear back re-growth along the track. 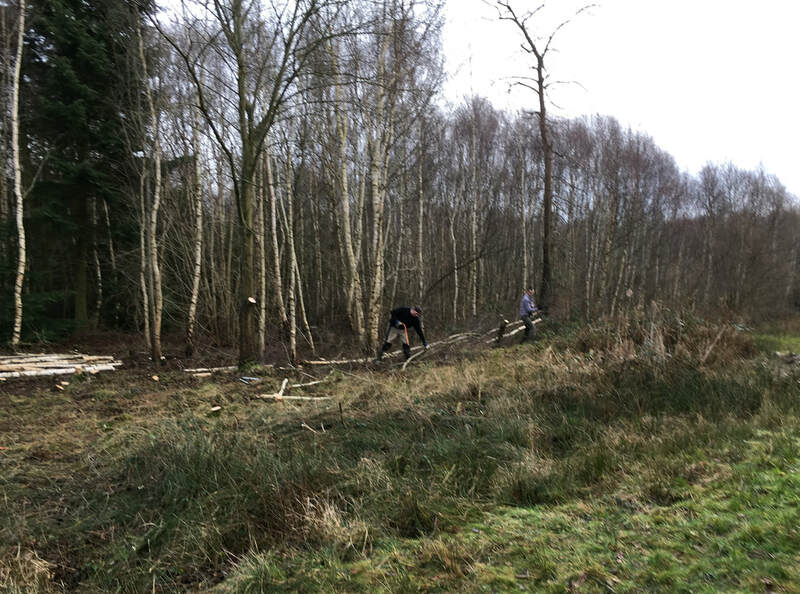 It’s a huge wood and the work we have done in previous years can be hard to see but this job is well worth the effort when you see the variety of flowers and insects in the summer; these in turn provide the right habitat for birds and mammals alike. 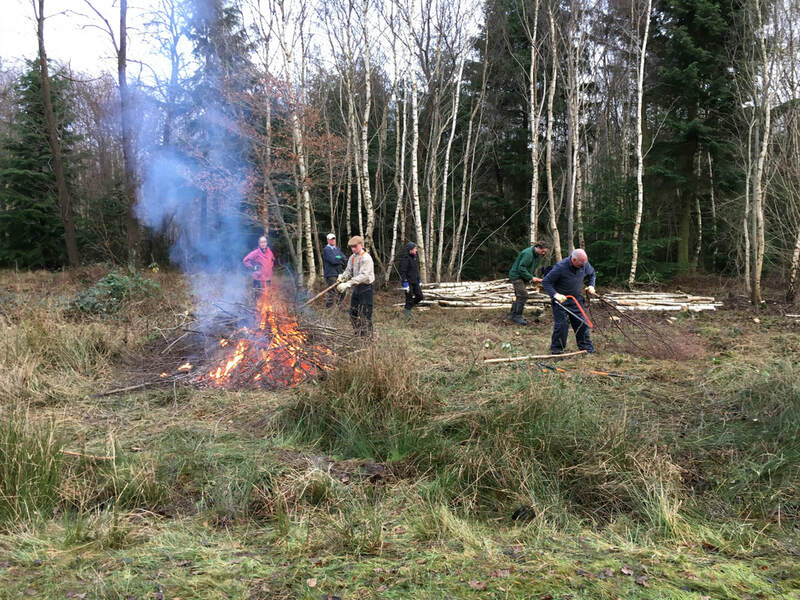 ​As it had rained most days the previous week, the ground was still very water logged but Jonathan soon had a fire going and the team were cutting and feeding it with material to burn but to also creating some great habitat piles. Simon spent some time clearing out the pond next to where we were working, which we had dug previously. This was starting to become overrun with bullrushes and little open water was showing; it was left looking much like it had when we first extended this boggy area. ​We had my mince pies and other cake and biscuits to keep us going but as the day wore on, we were starting to slow so I called an end, so we could get away while it was still light. Another worthwhile invigorating day conservationing.